The BTI CAN gauge programmed for MoTeC M1 Integration allows for the selection of 12 user programmable screens. Each of the 12 screens can be programmed with a single parameter (listed below) or you may also select compound parameter screens which display multiple parameters in an easy to read fashion. Several of the compound parameter screens include a Peak-Hold function that allows you to keep your eyes on the road. The Boost screen shows the peak boost in between boost episodes. The Knock Feedback screen will display the MAP pressure, Timing during Peak knock feedback. Shift light is programmable by gear. The MoTeC M1 integration also allows for warning messages to be displayed. These warnings will flash on the screen during normal gauge operation and inform the operator of the error that occurred and the parameter value that caused the fault. Fuel Pressure, and Engine Knock. If you own an MoTec M1 and are interested in vehicle telemetry view-able in a small package or your are hitting a fuel or ignition cut triggered by the ECU, then this gauge is for you. This Gauge has 12 programmable screens that are capable of displaying more than 40 parameters. 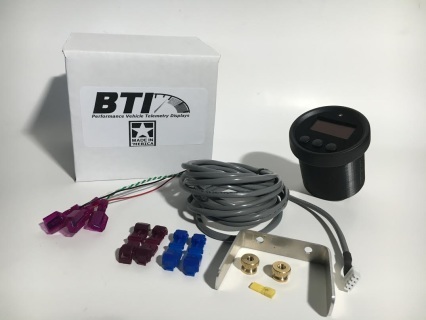 Not only do you have the ability to see many parameters on one gauge, but this also means that you don not have to purchase and wire in a bunch of additional sensors. The Plug and Tap option includes a ten foot CAN bus cable terminated with the 3M T-Taps. If you are looking for a little more than just a display, then this may be the device for you. This gauge has the same capabilities as the standard BTI gauges, but adds some features like user scalable analog outputs for Boost control and Traction Control. This eliminates those rotary switches and additional holes in your dash. This display is also capable of transmitting many different features over CAN as well using the touch screen. 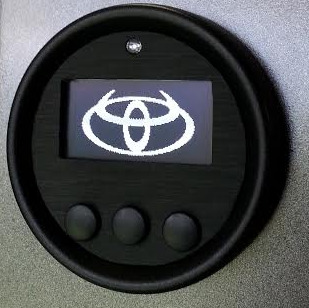 These functions are Boost Target, Traction Control / Slip, Tire Size, Valet Mode, and Enable / Disable Antilag. There are also many peak hold functions including a Boost Episode snap-shot screen that will display key parameter values at peak boost . 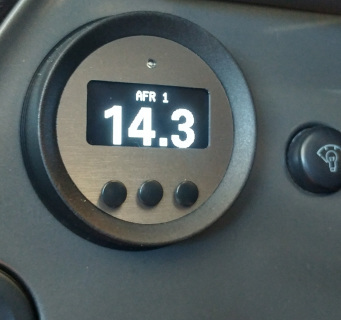 Finally, this gauge retains the user programmable shift light by gear function. There is also the same display with a suction cup windshield mount which allows for the most versatile mount as well as a similar version that comes with a standard mount with a Velcro adhesive backing.